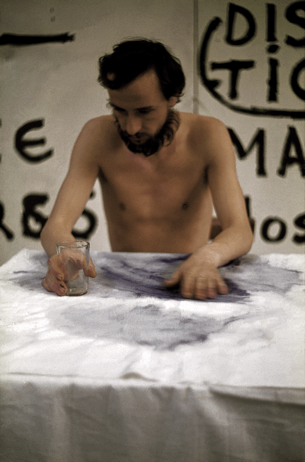 'Drinking Water' by Rasa Todosijevic became an iconic performance in the artists career, performed as part of 'Decision as Art' in Belgrade and Edinburgh Todosijevic's work is often intensely political, exploring the interrelations between authority and personal freedom. 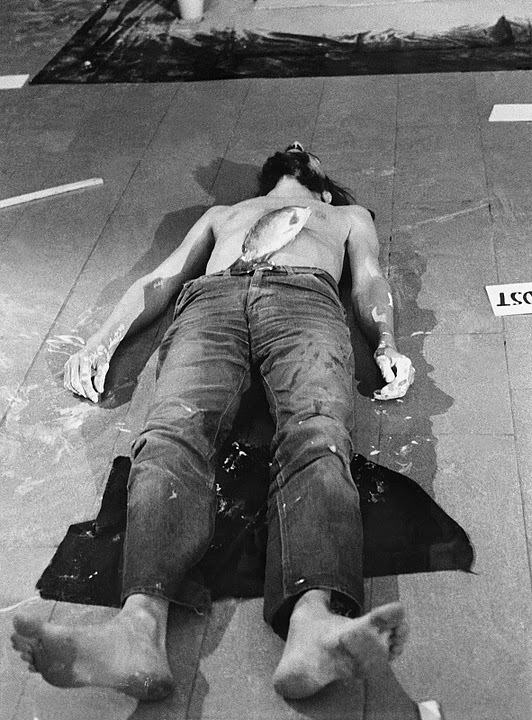 For the performance the artist removed fish from a tank and repeatedly drank the water. Trying to 'harmonise' with the rhythm of the fishes breathing, the artist drank twenty-six glasses of water whilst breathing. Eventually Todosijevic vomited out the "intolerably vast quantities of water he had forced himself to drink in imitation of the environment of a creature that he was not".